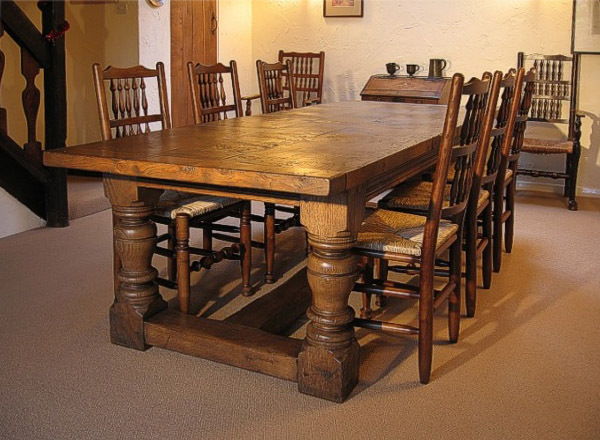 Our heavy oak refectory table with ash spindle back country style dining chairs, with rush seats, in the dining room of our clients Cheshire cottage. The specification for this dining furniture was pretty detailed, but we were easily able to fulfill all our clients wishes. 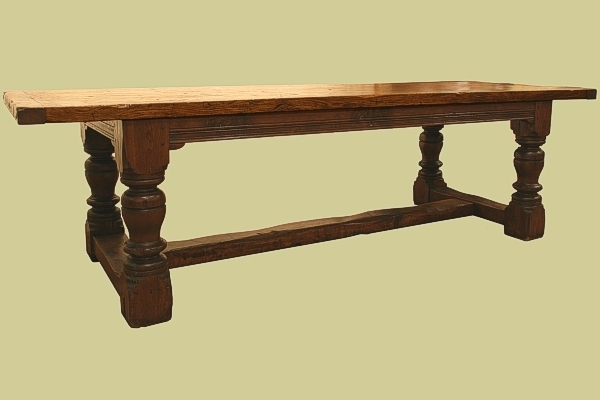 The table legs were made up from kiln dried sections glued together, to avoid, or at least minimise, any cracking (large solid sections can only be air dried).